Disney princesses are possibly some of the best known characters worldwide, and part of their appeal lies in their oldey-timey-ness. Each one is certainly a product of the period in which the movie was made, but they are also almost always set in a fantasy historical setting… and thus, their costumes are fantasy historical as well. In this new series, we’re going to analyze each of the Disney princesses to discuss the historical influences in their costumes. We’ll work in chronological order of the movies, so today, it’s all about Snow White — originally released in 1937! Snow White is the heroine of Disney’s very first animated feature film, Snow White and the Seven Dwarves. Based on a fairy tale collected by the Brothers Grimm, the story is about a princess whose evil step-mother REALLY doesn’t like her because of some serious narcissism issues. The step-mother tries to have Snow killed, but instead she holes up with some very messy dwarves who are in desperate need of a mother/housekeeper. As an unliberated woman, she cleans their house and they decide they like her. Meanwhile, the evil Queen/step-mother, who is in dire need of counseling, disguises herself as an old woman and tries to poison Snow with an apple. Everyone thinks Snow is dead, but then a random Prince with an obvious fetish for necrophilia wanders along, kisses Snow, and she comes back to life. The Prince takes her off to his castle, where no doubt she can handle the cleaning for him. 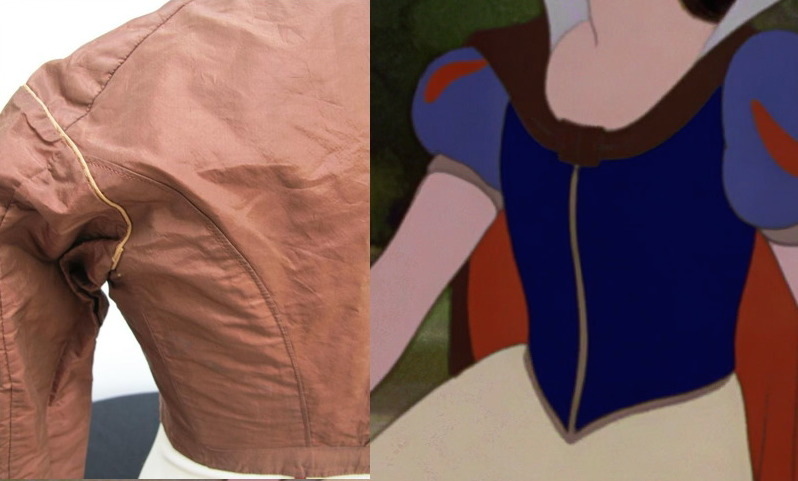 Snow White gets only TWO outfits — she’s TOTALLY ripped off compared to later Disney princesses! I call this the My Step-Mother Has Issues Dress. Snow White is down with the people. This outfit is pretty darn 1930s, with a few exceptions. Both Snow White and Claudette Colbert wear dramatic purple eyeshadow with mascara-ed lashes; super thin pencil brows; rosy cheeks; and red, rosebud lips. 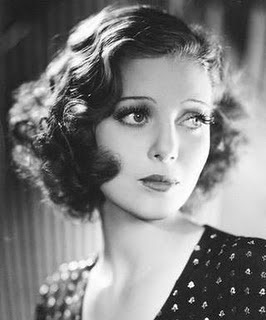 The long, wavy bob was very fashionable — seen here on actress Loretta Young. 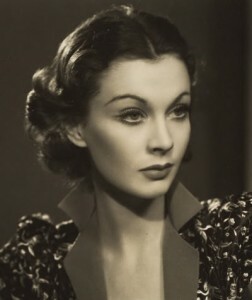 Movie star Vivien Leigh also wears a similarly shaped style. 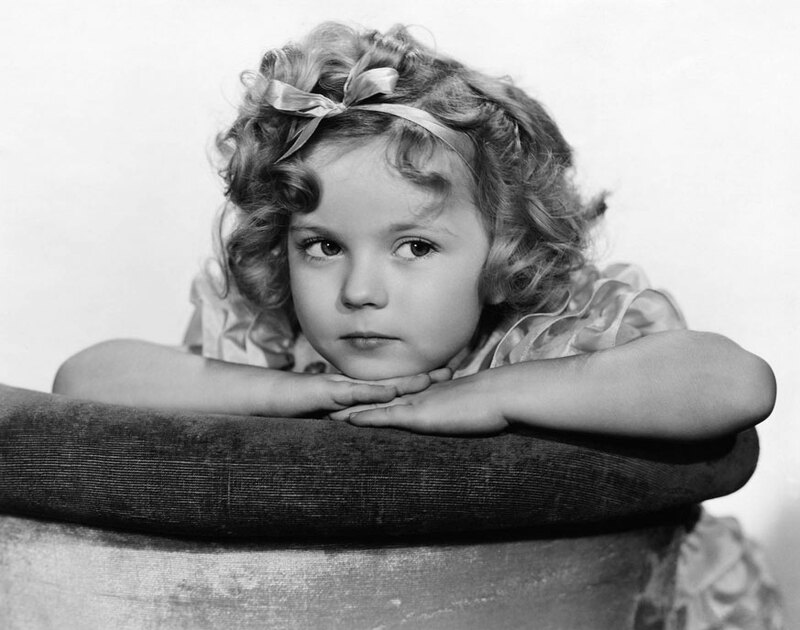 Shirley Temple, ultimate child star, rocks the hair bow. 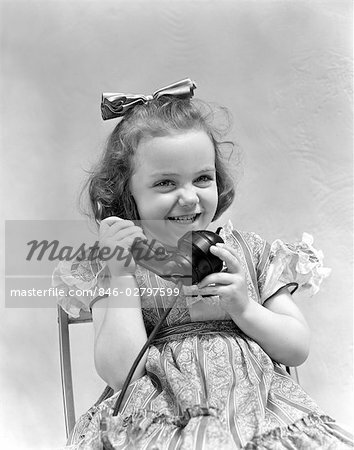 The Peter Pan collar can read “child” to us nowadays, but it was worn by both girls and adult women in the 1930s. Here, vintage 1930s patterns show short, puffed sleeves on a little girl, a teenager, and two adult women. It could be they were going for a pinafore look (see vintage 1930s pattern, top right). Or perhaps they were going for a Renaissance bodice effect (detail from an English painting — Fête at Bermondsey by Hoefnagel, c. 1569). Both of these are images by Bruegel, a 16th century Flemish painter known for his images of peasants. If they wanted this effect, she’d have a matching bodice and overskirt with an underskirt (that matches the sleeves) peeking out. Here, you see two Italian paintings showing a similar look. Of course, those slashes usually show a white fabric (part of the shift/chemise) underneath. The short puffs are probably taken from similar styles to those shown above, with the fitted lower part of the sleeve removed. Short, puffed sleeves were very popular in the 1930s, however — see the images compared to Snow’s first dress! 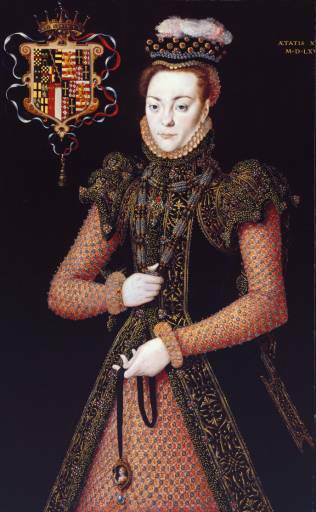 In the 1550s-70s, you sometimes got this short, puffed sleeve on an overgown, worn over a fitted undersleeve (part of the kirtle or undergown) — here shown on Queen Mary I (Tudor) of England. 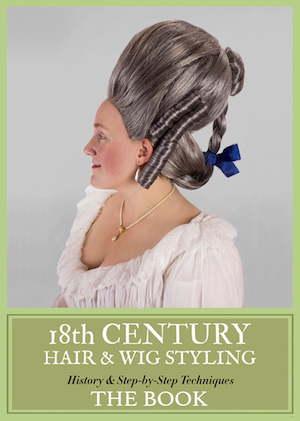 Many countries favored this shoulder roll look in the 1550s-80s, which is much higher than the Snow White puff length. This one is English. The full “puff,” as opposed to just a shoulder roll, seems to be mostly 1530s-60s Italian. Snow’s bodice appears to feature contrast colored piping, but that could just be a line to feature definition on the bodice. If it is supposed to be contrast piping, though, you really only see that in the 19th century. On the left, a Victorian day bodice with matching colored piping on the seams, and contrast colored piping on the armhole. 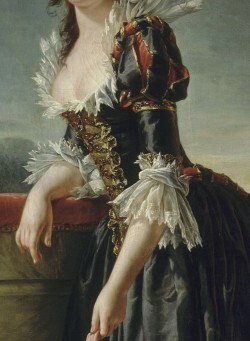 Her short cape is mainly a style worn by men, throughout Europe, in the 16th century. Now, her standing white collar is interesting. I would think that it was part of the cape, but she wears it even when the cape is off, so it’s clearly part of her dress. What are they referencing? Most likely, it’s meant to reference a standing partlet, like the white collar seen in the Italian 16th-century image on the left. Alternately, it could be a standing collar like that worn on many overgowns in the 1550s-70s throughout Western Europe (seen right). Or, it could be a nod to standing, open ruffs worn in the 1580s-90s in Western Europe. Here, we see Queen Elizabeth I of England. 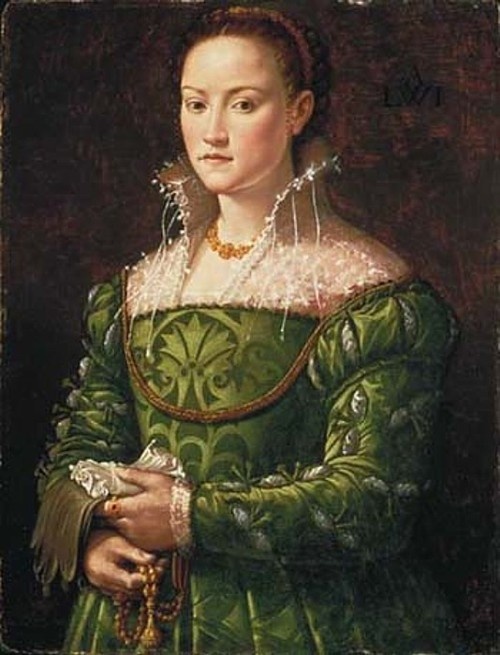 Many of the 16th century fashions worn in Italian city-states did not feature hoops, in contrast to much of Western Europe. Snow’s shoes are pretty firmly late 1930s. On the right, you can see a vintage 1930s shoe; on the left, a 1940s. Snow’s shoes, particularly the angle on the heel, definitely show that 1940s look. Now, how do you get forest critters to help with housework? That, I got nothing on! 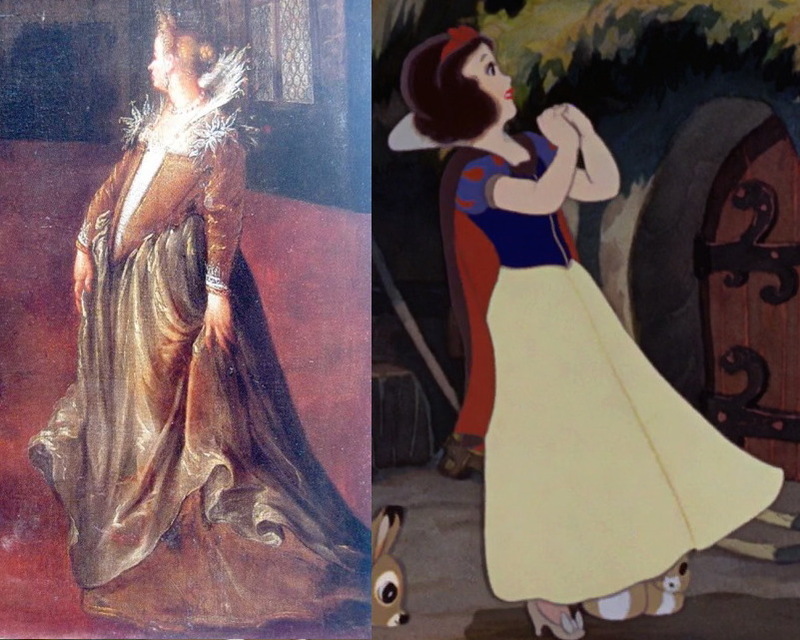 Did you catch any historical references that I missed in Snow White’s costumes? Let me know in the comments! 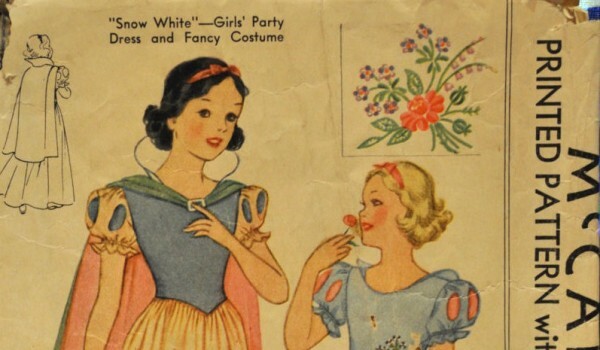 The Fashion Historian’s post on how Snow White embodied the ideals of her day is also worth reading! Thanks to Disney Screencaps.com for the movie screencaps! Yes, shoomlah’s drawings are gorgeous! AIEEE! It is the great Shoomlah who did the beautiful historically accurate Disney princesses drawings! *I* die! Hi！ May I use some of your pictures for a school project? She’s my favorite too, and don’t worry, she’s next!! Thank you so much for these posts, they are wonderful! I am writing a degree thesis about Disney princesses and I found these articles very useful. Are you planning to write new articles about the other princesses? I’m so glad you found it useful, and your thesis sounds fascinating! Yes, I am planning on doing the rest — hopefully you found the Cinderella posts, and I’m working on Sleepy Beauty as we speak! Give that one another week or two. Just in passing, like many other silent stars, Loretta Young was very very young when she started. She was born in 1913, so that photo of her is probably in her late teens. She starred in ‘Laugh Clown Laugh’ in 1928 at 15. 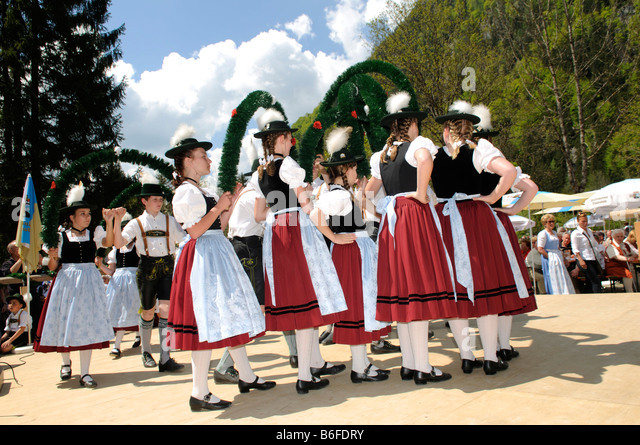 Ever considered looking at different traditional Bavarian dresses? It seems there’s a great deal of Bavarian influence in both dresses, especially the two colour scheme and the short puffy sleeves. Obviously it has been combined with elements from old dresses of noble women in the blue dress, but the general design without the small details seems like a Bavarian dress. Absolutely, I wish I knew more about all the regional variations! I’d also say the boxy, boyish shape of her body is of the 20s/30s period as well. The donor Uta, as the evil stepmother, maybe?